There’s been a lot of these computer related giveaways recently. 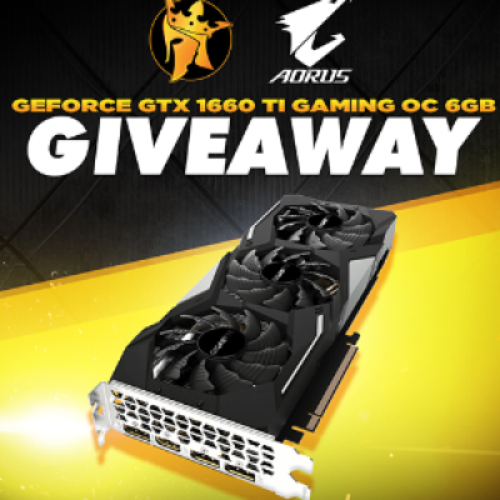 You may be interested in winning this high-power GPU if you do any video or photo editing, or if you are into gaming. Even if you’re not personally interested are chances are one of your friends, or someone in your family would love to upgrade their graphics card. And in the case that you don’t want it and you don’t know anyone who would want it, I have one word for you… eBay. Besides, you don’t have to be a tech geek nor a gamer to want to have the newest hardware in your computer. This card could put you ahead of the curve and keep your machine running the latest software for years to come. I’ve mentioned before that Granny does have a dream to create a YouTube or Twitch gaming channel. As silly as it may sound, I think there would be a niche crowd that would get a kick out of watching a senior fumble their way through the latest survival games. If you’re building a computer or looking to build one, you’re probably well aware that the graphics card is one of the pricier components. Winning this sweepstakes would really give you a head start on your new machine. I want to wish all of Granny’s subscribers and fans the best of luck to be the one who wins this sweeptakes. Let me know in the comments section below what you would do with a computer outfitted with this Geforce GPU.